Hey there!!! I'm back with the second card that I made with the gorgeous Snowflake Splendor card kit! 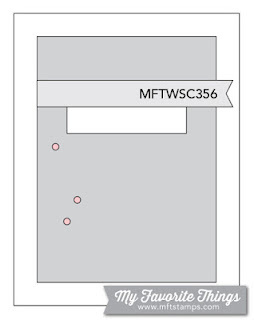 This one uses the MFT sketch layout and I will also be posting it to the Simon Says Stamp Wednesday challenge of anything goes. I love how this card turned out, but I must admit that it was a bit tricky getting the letters placed on top of the snowflakes! 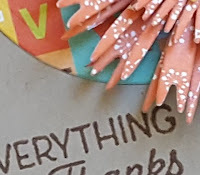 After getting everything layered and lined up I stamped the sentiment from the MFT Snow Globe Sentiments on a strip of vellum, then heat embossed it with white embossing powder and layered it on top of the word. I have one more layered snowflake left so I need to come up with something simple so I can use that one, too. 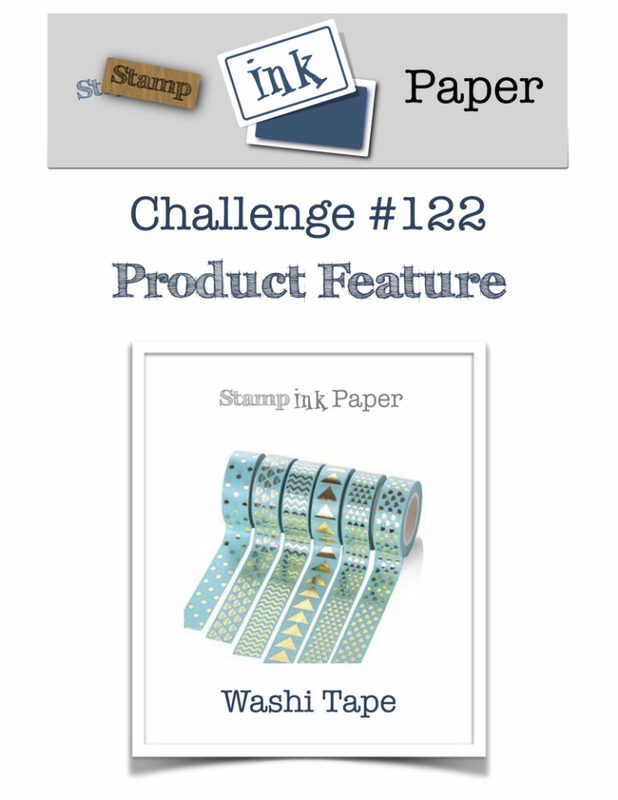 Already thinking up some ideas so I can use the stamp set, as well. 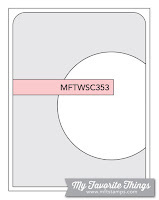 Hmmm... they might look really pretty stamped in all the colors from the current MFT color challenge!! Hey there!! 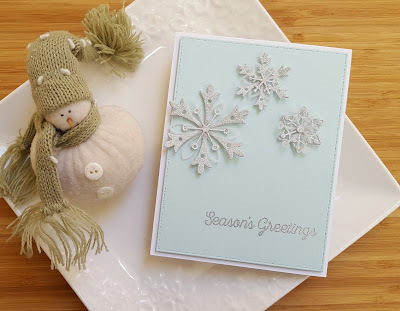 This week I got the beautiful MFT Snowflake Splendor card kit!! I could not wait to make something with it! In fact that I made two somethings with it, lol!! Sharing one today. 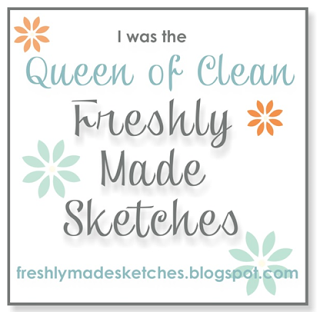 This card is for the current CAS(E) this Sketch challenge, as well as the current Simon Says Stamp Wednesday challenge of anything goes. When my kit arrived on Wednesday afternoon I pulled out one of the snowflake die sets and cut some snowflakes from the silver glitter paper and vellum included in the kit. I then layered up the various pieces to create my snowflakes. 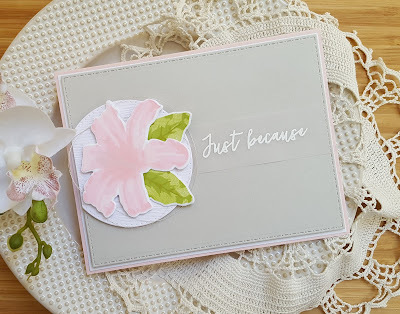 I die cut a panel of MFT Sno-Cone cardstock (from the kit) and embossed the sentiment (from the Snowfall of Blessings stamp set) in silver. The snowflakes were then arranged per the sketch. Adhered the panel to a white cardstock base (MFT Sweet Tooth) and I was done. Love this kit... it is absolutely gorgeous!!! So... when I saw the colors for the current Color Throwdown I knew immediately that I wanted to use Concord & 9th's Pineapple Perfection stamp set for my card. I love that stamp set!!! I'm also going to add this to the current Simon Says Stamp Wednesday challenge of anything goes and the current SIP challenge to use washi tape. 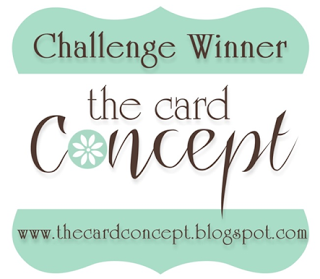 (Thank you to the team at SIP for picking my card as a winner for the last challenge!!) 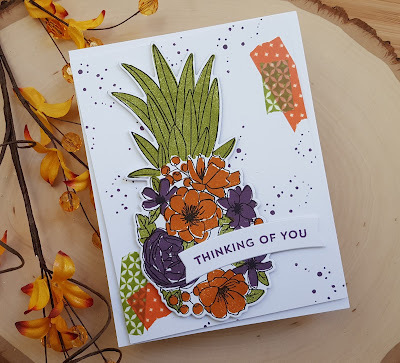 I stamped the outline pineapple in VersaFine Onyx Black and then stamped all the filler images using the CTD colors. I then die cut it with the matching die. The bits of washi tape were added and then I used a splatter image from the C9 set Brushed Blossom to stamp the purple splatters. I see where I could have filled in a bit more, but oh well... Anywhoo... stamped the sentiment in purple ink, as well and then die cut with the banner die that comes in the Pineapple Perfection die set. 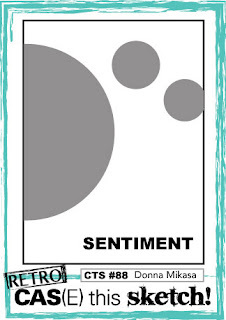 Supplies: Cardstock: PTI white; Stamps and dies: Concord & 9th; Inks: VersaFine, Close to My Heart and Stampin Up! Hope you will take the time to head over to the AJVD blog for a look. Have a great day!! Hello!! Wow... we had a wet and wild weekend!! But thankfully it cleared up enough for the boys and me to get a few more pumpkins for our front porch and to have a little trip out to one of our favorite spots. It was fun to head out of town in up more toward the mountains and to see all the trees in their full autumn glory! It made me think of the current inspiration photo from the Card Concept. 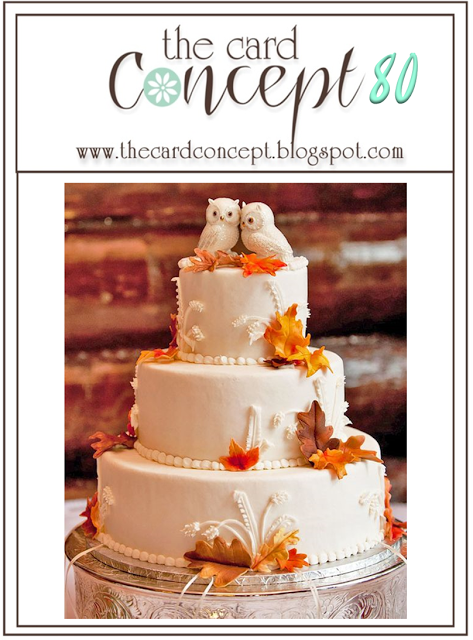 When I saw the gorgeous fall wedding cake in the photo I just knew I had to play along! 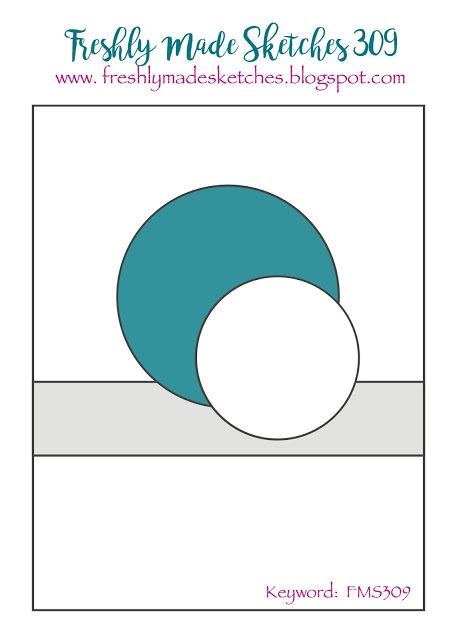 My card would fit in the Classy and Elegant or Clean and Simple categories. I was inspired by all the leaves on the beautiful white cake. 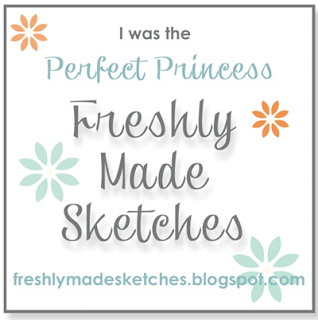 I used the current sketch at Freshly Made Sketches, as well. I inked up a piece of white cardstock with Wild Honey and Spiced Marmalade distress oxide inks. I then die cut two leaves from the AJVD Grand Leaf Trio set set and a small leaf from the AJVD Leaves & Petals die set from the piece. The leaves were then inked with Fired Brick, Vintage Photo and a bit more Wild Honey distress oxide inks. I absolutely love those inks for blending!! 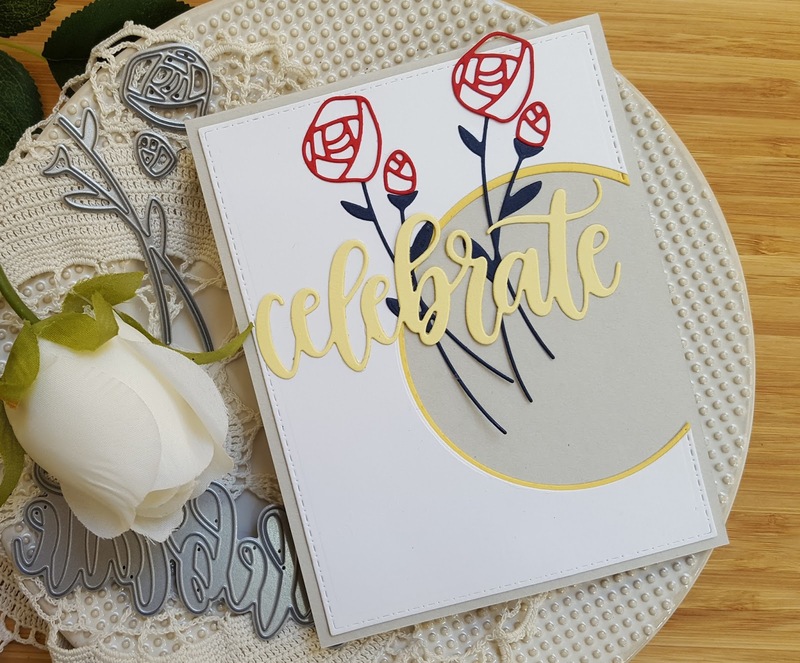 A piece of white cardstock was trimmed down to fit the card front, then die cut in half using an AJVD Elegant Stitched Border die. I then cut the pieces down further with the largest AJVD Stitched Dot Rectangle die so that all the edges matched. The sentiment is from the AJVD stamp set Be-Leaf in Yourself. 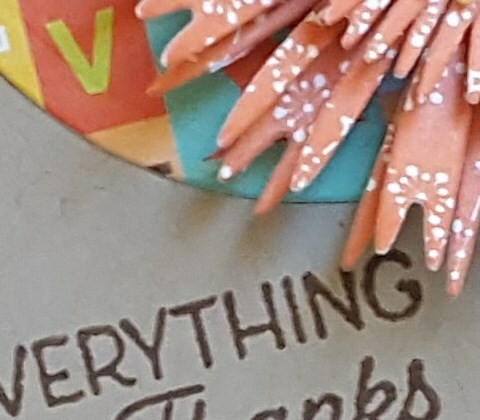 I arranged the leaves on the two pieces so I could get a good placement for the sentiment and then stamped it with my MISTI. The leaves were added along with some red, yellow and orange dew drops. 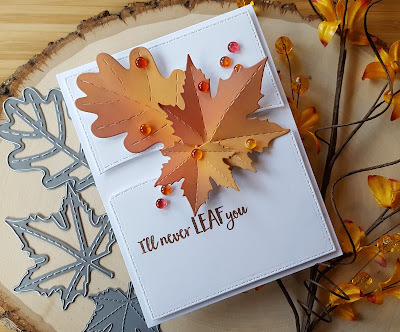 I will also add this to the current Dies R Us challenge to use leaves on your project. Can I just say that I am beyond pleased with how this card turned out??? I just love it!! 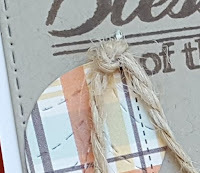 I'm going to add this to Lea Lawson's Crafty Come Back Party Day 8 link up. Hello!!! 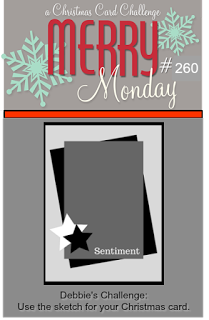 Popping in with a card for the current Merry Monday Christmas challenge, as well as for the Reverse Confetti October Sketch for You to Try. The Merry Monday challenge is to use ornaments on your card. I decided to go with a traditional red and green color scheme with a little silver sparkle thrown in for good measure. The stamps and dies are from Reverse Confetti... Vintage Ornaments set. Originally I only had two ornaments... one is red and one in green, but as I put the card together things just didn't look right so I stamped and cut another red ornament. 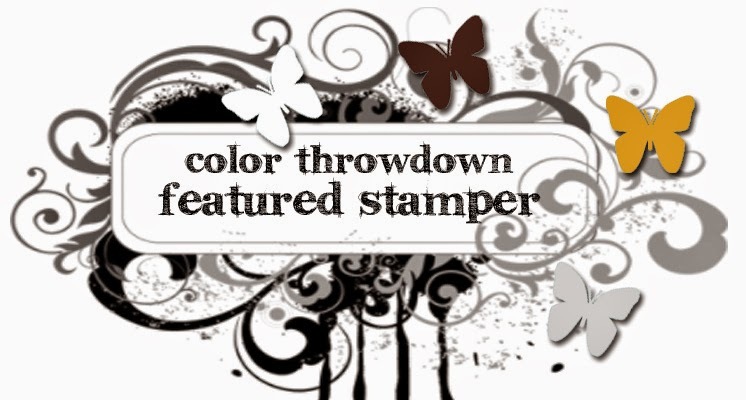 I used Stampin Up! 's Emerald Envy and Cherry Cobbler inks along with the matching cardstock. I embossed both pieces with a SU! birch tree embossing folder. The RC Pretty Panels garland die was cut from white cardstock three times and adhered together. The little banner is also from Reverse Confetti and cut from silver glitter cardstock as well as the ornament tops. Supplies: Cardstock: PTI white, SU! 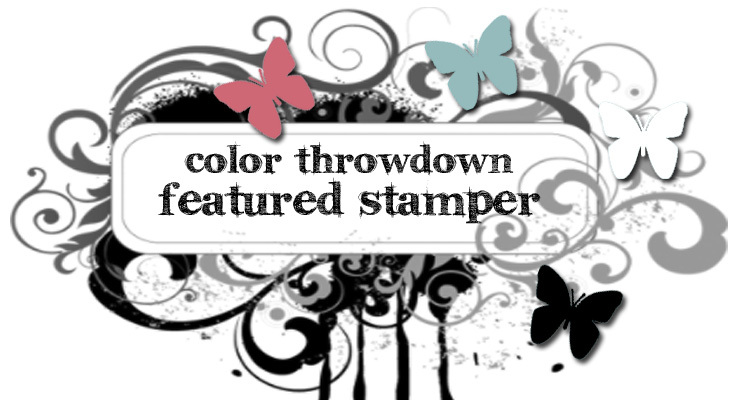 ; Stamps and dies: Reverse Confetti; Inks: Stampin Up! ; Glitter paper: MFT; Embossing folder: Stampin Up! Have a wonderful day and I hope you will hop over to the AJVD blog for a look at my project! Hello!!! Hope you are having a wonderful weekend! 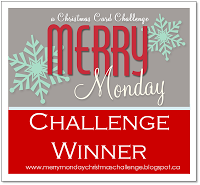 Stopping in with a card I put together this morning for the current Merry Monday Christmas challenge. They have a lovely sketch this week. I have been in a bit of a creative funk, again, so I thought using the sketch would help. 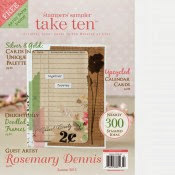 I have lots of fun new stamps and dies, but just can't seem to get anything going... maybe I have too much stuff???!!! Anyway... 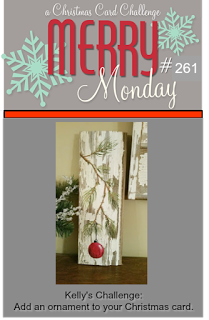 I thought making something simple might help so I turned to Merry Monday since I need to get started on some Christmas cards. 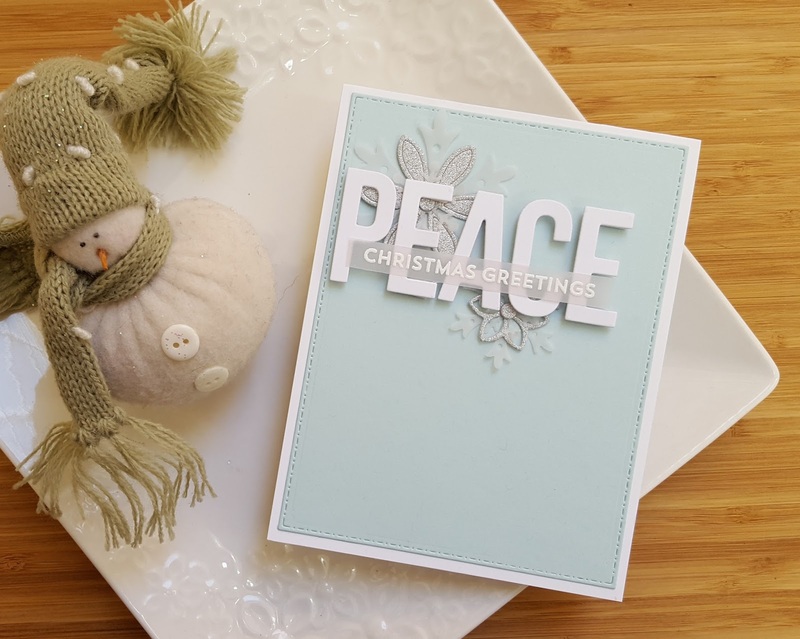 I have never used my Make It Market Mini Kit: Holiday Folk and since it comes with a sheet of images you can die cut and use I thought that would make things easy, but it turned out I was wrong, lol! I still struggled to get something made! I was going to use some of the patterned papers that come in the kit, but decided that none would work for the top panel so I inked up some PTI Fresh Snow linen cardstock with Broken China distress oxide ink and then flicked on water to create a look of snow falling. That panel and a piece of the patterned paper from the kit were die cut along with the images. 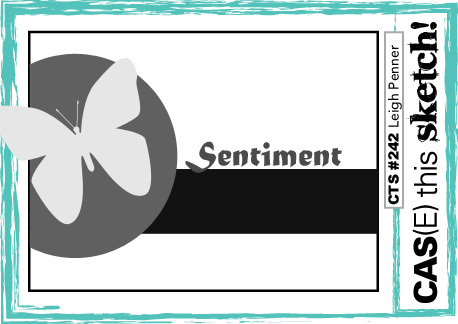 I laid out where I wanted the die cuts and then stamped the sentiment. Layered everything up and finally... I had a card made!!! 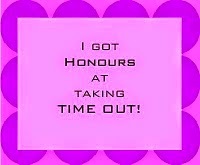 Here's to hoping I can get something else made, lol!! Have a wonderful day!! 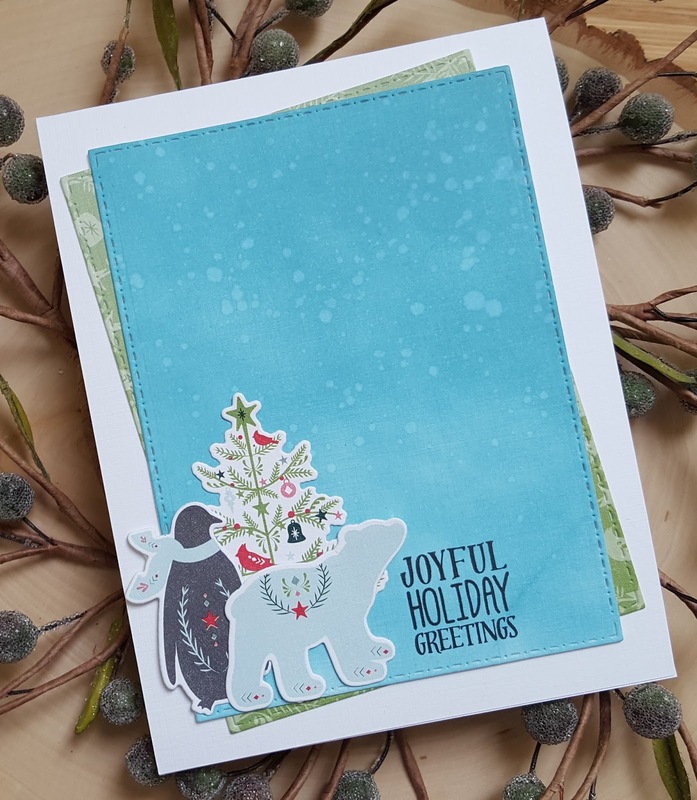 I hope you will head over to the AJVD blog for a peek at my card! Hello!!! 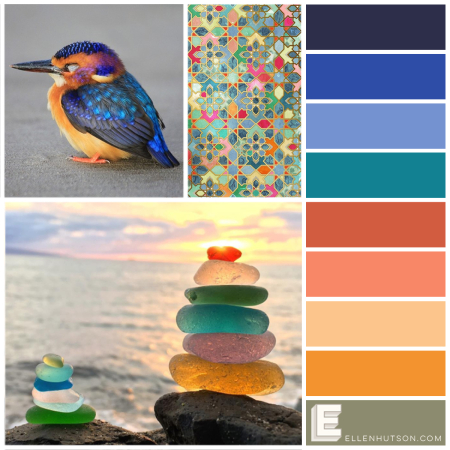 So happy to stop in to let you know that I'm guesting today at Color Throwdown... YAY!! 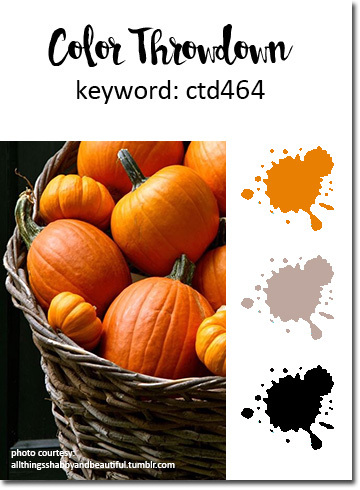 Love Color Throwdown and pumpkins!! This week's colors are inspired by a photo of a basket full of beautiful pumpkins!!! I used the October Reverse Confetti Sketch for You to Try to put my card together. 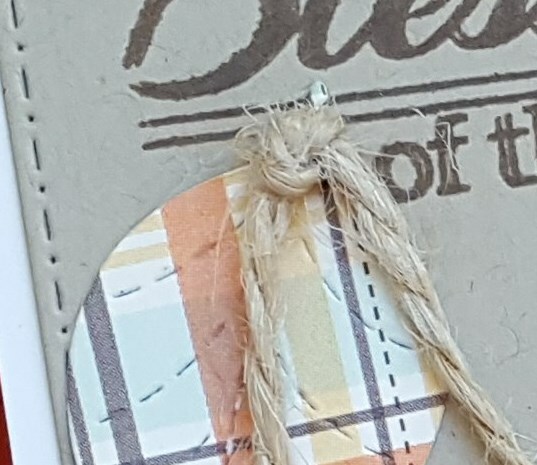 I pulled patterned papers from a couple of different places (Stampin Up! and My Favorite Things). 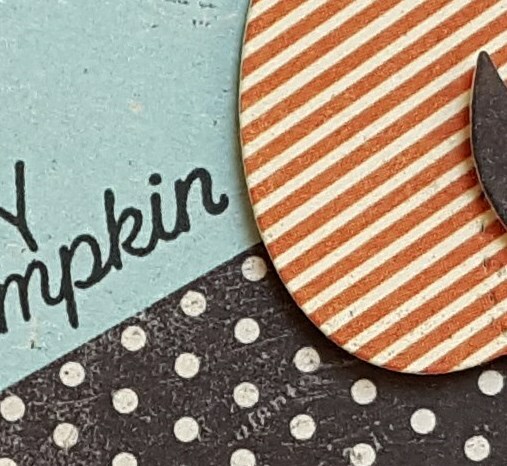 I was going to use a pumpkin on my card, but then I saw my never been used Reverse Confetti Thankful Pretty Panels die and decided to use that instead. I die cut it twice from the orange gingham paper and the black cardstock and then inlaid the patterned paper into the black die cut. Love the contrast I created!! Cut some patterned paper and a panel of white cardstock and adhered to a taupe cardstock base. 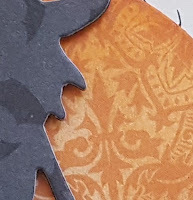 I layered the orange paper and the black cardstock together, adhered and then added the pretty panel. Super simple, but I really like it! 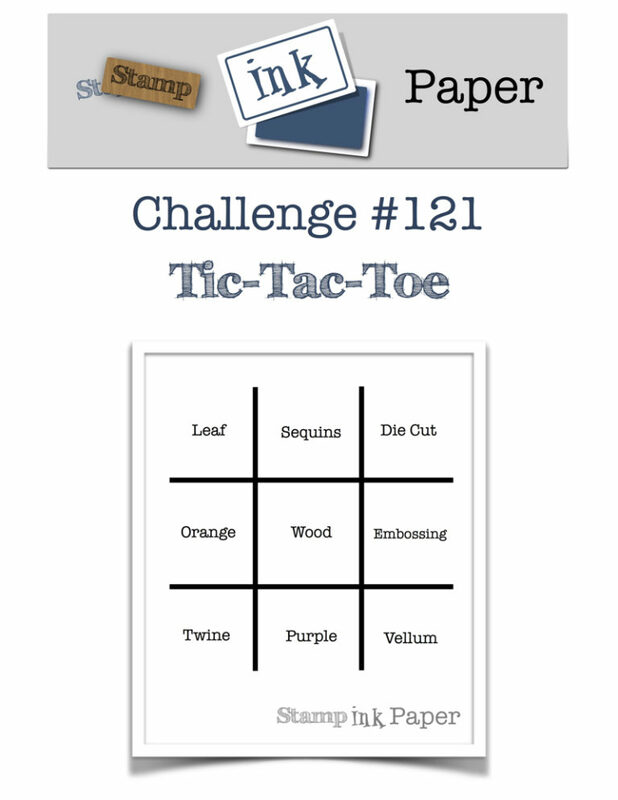 Going to add this to Simon Says Stamp's world card making day gallery, too. Have a wonderful day... hope you play along with Color Throwdown!! Happy Monday... ha, ha!! 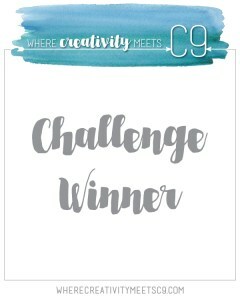 Stopping in with a card for the current Essentials by Ellen Mix It Up (mixing it up with Altenew) challenge, as well as the October Altenew challenge. Since I'm trying to use my small stash of Altenew products more often combining the two challenges was the perfect opportunity. I used Altenew's Layered Lily stamps and dies for the flower and a sentiment from the Essentials by Ellen Lovely stamp set. 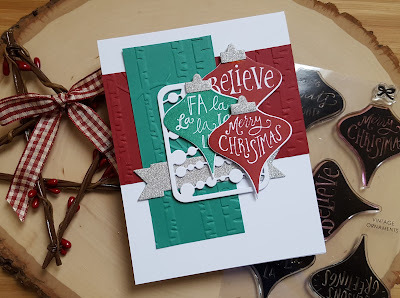 I used inks from Altenew, Memento and Stampin Up! to create the flower and the leaves. I did stamp the little stamens in the center of the flower, but I used a really light gray ink and so you can't see them in the photo. The sentiment was stamped on vellum and heat embossed in white. Before adhering the flower and leaves to the die cut circle I added a little nest of silver thread. The layout comes from CAS(E) this Sketch so I will be adding it there. 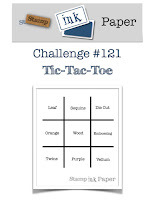 I'm going to add this to Simon Says Stamps Word Card Making Day gallery, as well. Hello!! 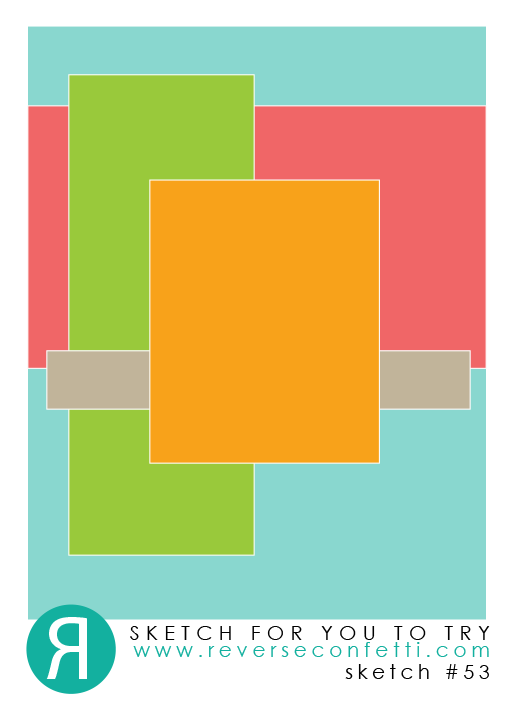 Did you make cards on World Card Making Day? I did not, but since most of the challenges are still open today I made a couple of cards. 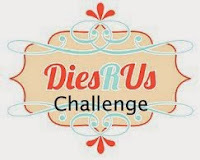 Sharing one right now that is for the MFT WCMD dies challenge, as well as the MFT color and sketch challenges. 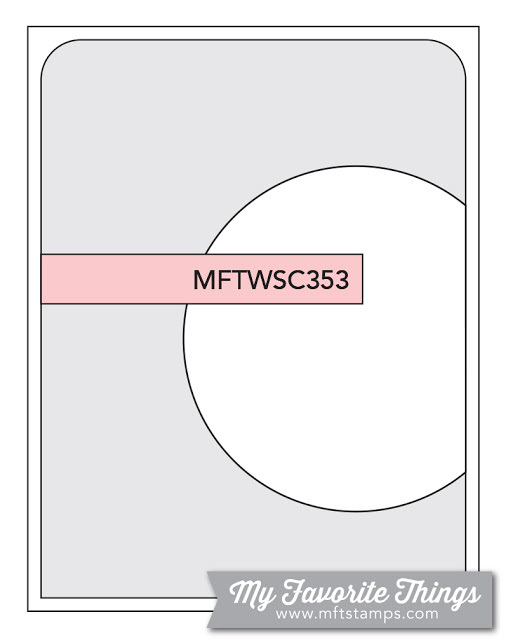 Trying to figure out how to make the MFT colors and sketch work with the MFT dies that I have was a trick, but I think I made it work. I should have die cut another set of flowers and stems, but it is too late now. Still I do like how the card turned out overall. The nice thing about this card is that it is pretty flat and I can add a stamped sentiment to it later. 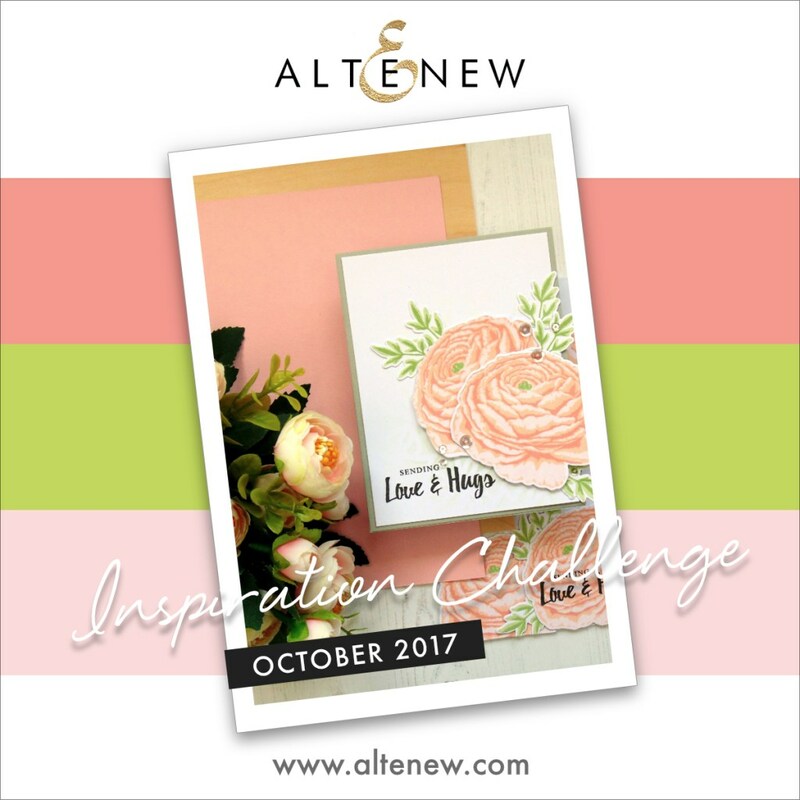 Don't you love it when you can make one card that covers several challenges??? I do!! Going to see if I can get something else made for one of the other MFT WCMD challenges... wish me luck, lol!! Think I will pop this into the Simon Says Stamp World Card Making Day line up, as well. Have a wonderful day!! Hope you will stop by the AJVD blog to check out my project! Hello! Have a card to share for several different challenges today. 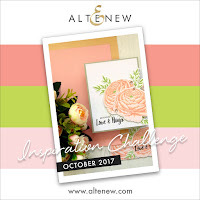 When I saw that my sweet bloggy friend, Anita, is the creative guest for Inspired by All the Little Things I knew that I had to play along! 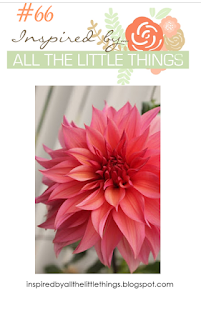 It also helped that the inspiration photo is that of a gorgeous dahlia and I absolutely love dahlias!! 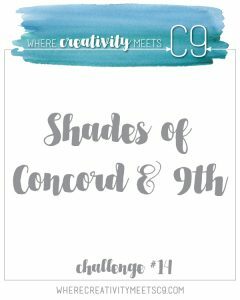 I decided to team this up with the current Essentials by Ellen Pin-Sights challenge. I pulled just a few colors (peachy pink, blue and gold) from the pin-sights inspiration photo and the inspiration I took from the Inspired All the Little Things photo is the positioning of the flower. I would have loved to have a large dahlia image to color, but I thought my EE Mondo Poinsettia would make a lovely substitute. 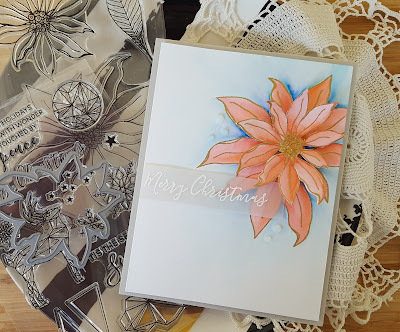 I stamped the large poinsettia on watercolor paper with watermark ink and then heat embossed with gold embossing powder. The same was done with the smaller poinsettia on a separate piece of watercolor paper. I then colored both images with two ZIG clean color markers (Light Carmine and Flamingo Pink). The center of the flowers were colored with another ZIG marker (Mustard). Once the flowers were dry I die cut the smaller one with the matching die. I added a light coloring of blue (pulled from the EE Pin-Sights photo) with a ZIG marker. Once everything was dry I trimmed down the main panel and adhered the smaller poinsettia. I added the foam tape to the back and then remembered that I had not stamped the sentiment!! So... I stamped it on vellum and heat embossed in white. A few dots of Nuvo Crystal Drops in Morning Dew were added to finish things off. I will also add this to the current Simon Says Stamp Wednesday challenge of anything goes. Thanks for stopping by... please remember to keep everyone in Las Vegas in your thoughts and prayers as they deal with this awful tragedy.